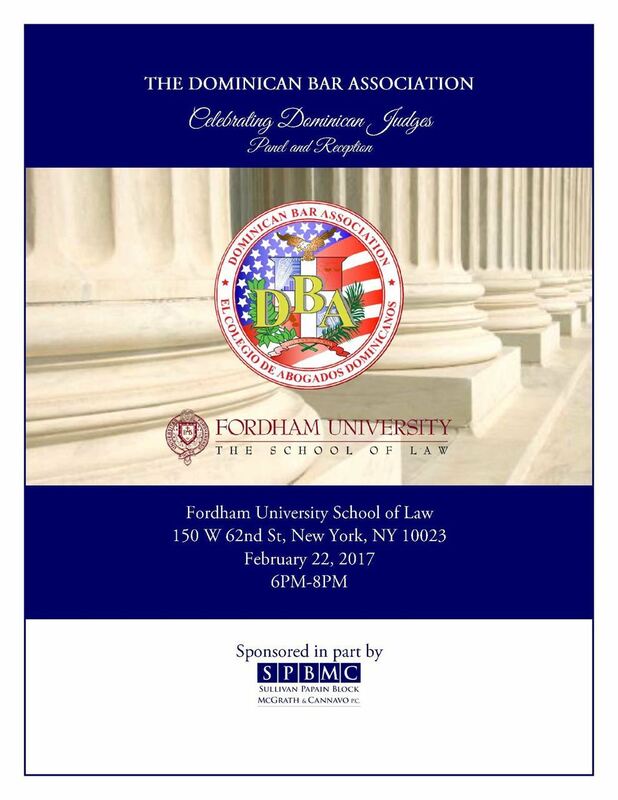 In commemoration of Dominican Heritage Month, the Dominican Bar Association prepared its inaugural 2017 Dominican Judiciary Journal and hosted an evening panel and reception celebrating the Dominican Judiciary and networking with DBA members and colleagues. Over 100 guests were in attendance. Hon. Rolando T. Acosta, Associate Justice, Appellate Division, First Department, and the Hon. Manuel J. Mendez, Justice, Supreme Court, Civil Branch, New York County delivered opening remarks and were joined on a Judiciary Panel by Hon. Lisa S. Headley; Hon. Rita Mella; Hon. Diccia Pineda-Kirwan; Hon. Victoria Pratt; Hon. Leticia Ramirez; Hon. Julia Rodriguez; Hon. Fiordaliza A. Rodriguez; Hon. Llinét Beltré Rosado; Hon. Faviola A. Soto; and newly elected Hon. Emily Morales and Hon. Bianka Perez. 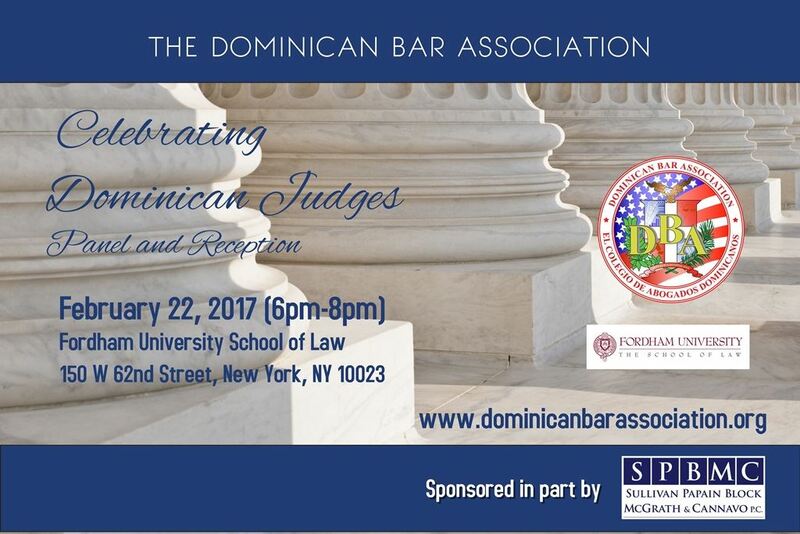 Thank you to our participating Dominican Judges and special guests, including the Hon. Jenny Rivera and Hon. Sheila Abdus-Salaam, Associate Judges of the New York State Court of Appeals; Hon. Carmen Beauchamp Ciparick, former Senior Associate Judge of the New York State Court of Appeals and Of Counsel and Co-Chair of Greenberg Traurig's National Appellate Practice Group; Hon. Luis Gonzalez, the former presiding justice of the Appellate Division, First Department and member of the Mayor's Advisory Committee on the Judiciary; Hon. Carlos Castillo, Consul General of the Dominican Republic; Hon. Joseph Zayas (Latino Judges Association); Hon. Carol Sharpe; Hon. Shawn Kelly, Hon. Dakota Ramseur. This event was graciously sponsored by Sullivan Papain Block McGrath & Cannavo P.C.